Storytelling is an ancient tradition that we use to convey important information to use in our everyday lives, to educate our children, and to entertain. We also use storytelling to spread the word about our businesses, products or services. However, the format we use has changed throughout the years. The spoken word is still very strong in addition to the written word. But, especially among younger generations, storytelling has become more immediate and briefer. With the advent of text and instant messaging, emoji, Memes, and disappearing photos, people convey information and emotions such as happiness, fear, love, and desire in shorter formats. 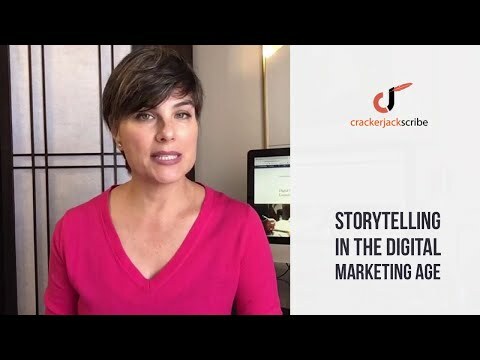 Watch the video or read the transcription below to learn more about storytelling in the digital age.